Veterinary Practice Management is the profession of managing the business and operations of a veterinary practice. Practice Managers are the key people who are responsible for the success of a veterinary clinic. The job of a practice manager is to ensure that day-to-day operations are handled smoothly and the financial goals are achieved. The skillsets desired in a typical practice manager are human resource management, knowledge of finance and accounting, marketing expertise and strategic planning. In short, a practice manager must be someone with knowledge and expertise in multiple business functions. It is not easy to become a successful practice manager. To aid practice managers in running the show, man has invented a tool called Practice Management Software(PiMS). 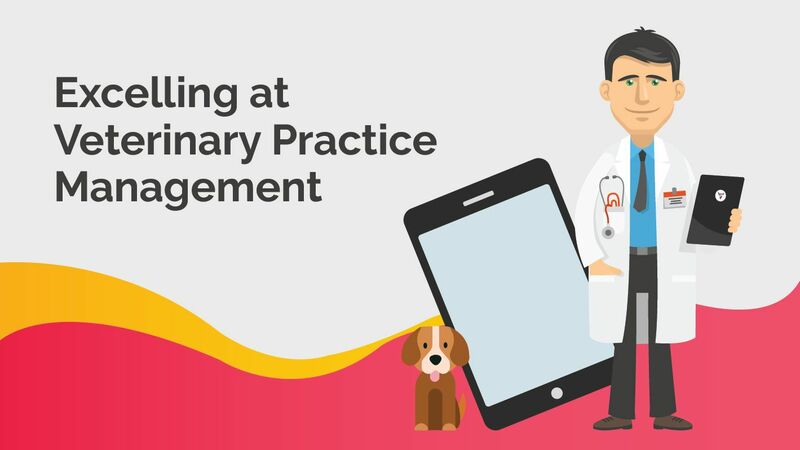 Let's understand how the combination of practice management and PiMS can bring commercial success to a veterinary clinic. Opting for the right practice management software for your clinic lets you ensure that there is maximum efficiency at the clinic. When you choose a practice management tool for your veterinary clinic or hospital, it enables you to streamline the administrative workflow pertaining to your practice. By electronically organizing health records, centralized appointment booking, scheduling tasks for the staff on a daily basis or on a weekly basis and sending reminders to your clients, the PiMS reduces the workload for administrative staff. Once the operational tasks are automated through PiMS, practice managers can concentrate on what is of the utmost importance - formulating future strategies for the veterinary clinic. With regards to a veterinary practice management software(PiMS), gathering the data and then reusing the same becomes the backbone of the entire process. The data available on the system includes important information such as patient name, contact information of the owners and the patient demographics. Whenever there is a new patient, all that the staff requires to do is enter the patient data on the system and it will be stored on the PiMS. If the patient happens to visit the clinic again, the staff will already have access to the data which they stored previously. Having such practices in place reduces both the paperwork and the time and energy spent on doing the paperwork. Data analysis and report creation are two features of a practice management system (PiMS) which helps in getting an in-depth understanding of the practice, including access to financial information whenever the practice managers aspire to. For a clinic to be able to perform to their optimum, it becomes imperative to recognize the loopholes in the practice and rectify the same as soon as possible. Before you shortlist the options available in front of you, make sure to choose the software which gives you an adaptable and consistent approach to all aspects of taking care of your business. To cite an example, the software needs to have a consistent layout of the patient’s clinical history. This will enable veterinarians to understand the patient’s problem at hand in a better manner, thereby taking care of them with the utmost efficiency. For your clinical practices to excel at all levels, it is imperative to reference the entire staff present at the clinic or hospital with the same information. It enables a better understanding of the routine tasks at hand and makes sure that loopholes are identified. For the user to never feel like that they are going in circles, a good practice management system is something one needs to opt for. A great practice management system for your veterinary clinic is the one having integrated estimates. While noting down your vendor choices, do keep this in mind as it helps in reducing the probability of missed chances to a great extent. Through a good practice management system (PiMS) at your veterinary clinic, it can be ensured that internal communication as well as external with the client owner enhances. Through the help of time management modules present in a practice management system, it can be made sure that appointments are distributed in a proper manner to the desired doctors. In order for the hospital to reach its goals, the staff needs to be as productive as possible during the time they spend at the clinic. Time management and task distribution modules present in a practice management system help in doing just the same. A factor which becomes the backbone for your hospital operations is not just communication with the client, but internal communication within the staff too. While shortlisting the veterinary practice management options available in front of you, make sure that you select the one which enables you to prioritize appointments for clients. To give you an example, in case a client calls in for an emergency, you need to make sure that his or her case is taken up by your staff with the utmost priority. For this, you need to have time slots available on your schedule which will help in adhering to the needs of emergency cases. A good practice management system for your clinic will notify the doctors when an appointment arrives or if there are any changes to the same. It is important to set alerts in case of emergencies and a good PiMS will help you in doing just the same. 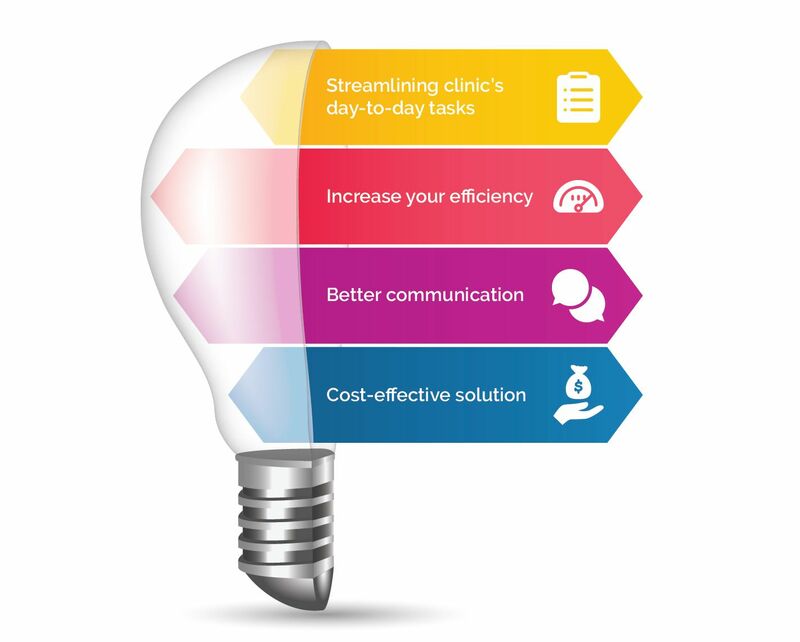 With an effective practice management solution for your veterinary clinic, you can ensure that your day-to-day tasks are completed at a quicker pace. A good PiMS will make sure that get a mirrored flow for your business. To enable a consistent flow of operations that work in conjunction with your staff, it is recommended that you adopt a software that lets the staff adapt different practices at their own comfort. Basic functions of the hospital like when a patient is due for a vaccination or when a patient arrives for an appointment needs to be notified to the staff on a regular basis. It is often not possible to hunt for the required person in the entire hospital. Push-up notifications sent to them will enable you to save time and resources in doing the same. Having the entire information on one single platform makes saves your investments on all levels. In a nutshell, it can be said that for a veterinary clinic to excel in their operations, the need of the hour becomes an effective practice management system. Installation of the system is something that everyone can do, what matters here is the need to leverage the capabilities of this system to its utmost. For you to excel at your veterinary solutions, you need to opt for a vendor that lets you do the same through the correct and effective solution. A great option available in store for you is VETport. The practice management solutions offered by VETport lets you in making the most of your day-to-day veterinary tasks.